"The carers here are so kind and thoughtful – in fact all the team are wonderful, building such a strong community. It’s what makes supported housing so different. It’s not just the practical support – which is of course wonderful, but it’s also the people, the encouragement they give us all and the real feeling that this is our home." “I live in Kingfisher Court, Cross Keys Homes’ first extra care scheme, which was opened in 2014. I moved in around six months after it opened and have been here for about two and a half years. Phyllis had previously been living in a sheltered housing scheme in a local town. 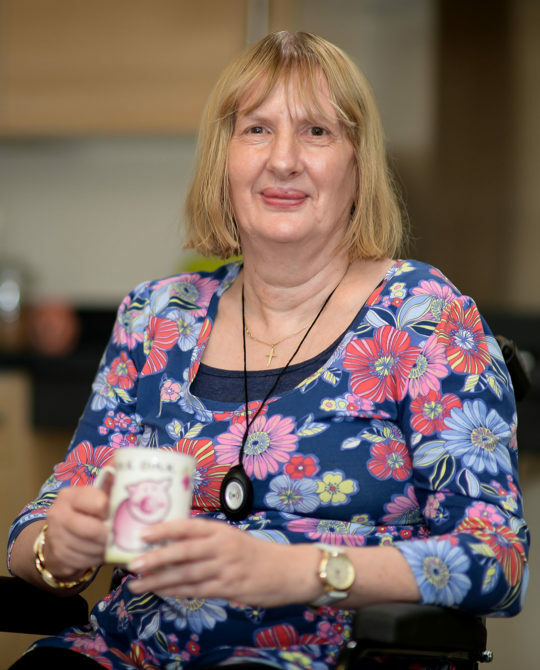 Phyllis thought the scheme was fantastic, but her daughter lived in Peterborough, and as her health deteriorated she felt increasingly isolated from her family and her daughter worried in case Phyllis had a fall. So, when she saw Kingfisher Court advertised, they both thought it was perfect, and Phyllis says she’s had the best two and a half years since moving in. Daphne I was so grateful to be re-housed I cried with relief. I was so grateful to be re-housed I cried with relief.